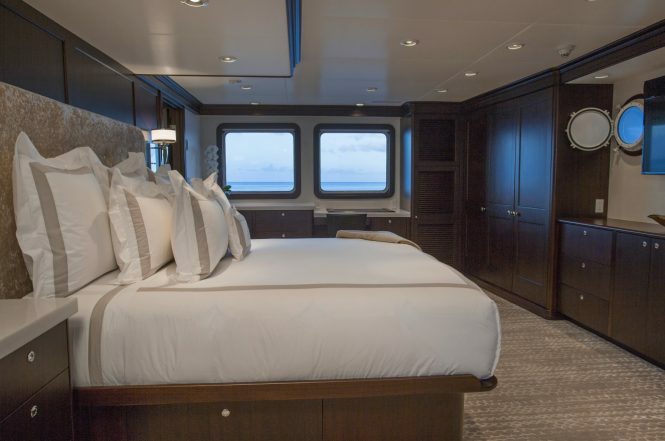 September and October is the perfect time to catch the leaves changing colour in New England, and luxury charter yacht MARCATO is sure to make your holiday one to remember. Among her amenities is a spa therapy room, where guests can ease tired muscles with a massage after a long day of discovery in Maine. 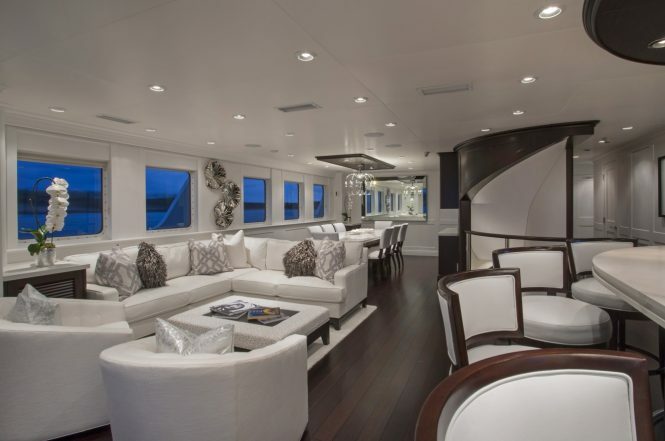 Built by Hike Metal Products in 2006 with a refit in 2016, her engineering and exterior styling is the work of Guarino, while Gold Coast Design Studio created her interior appearance. The main salon offers guests a peaceful contemporary environment in which to unwind the monochrome surroundings play with light and texture while modern artwork adds even more detail to the interior. Forward of the main salon, the formal dining area shares the open plan space and creates an immaculate dining space perfect for celebrating special occasions of simply spending quality time with family and friends. 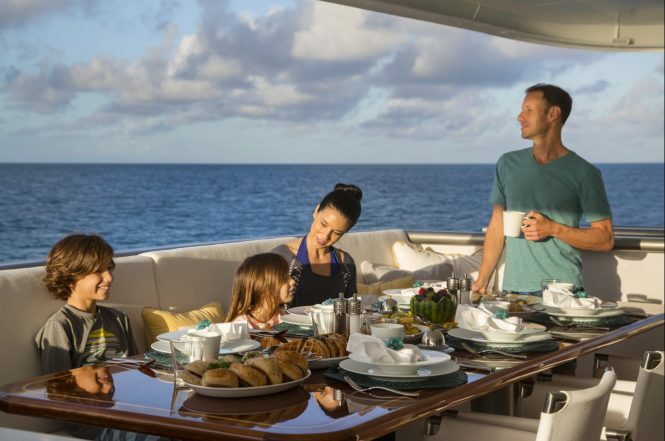 The bar near the aft is ideally positioned to serve guests seated outside on the main deck aft as well as within the salon, and the selection of drinks will complement any meal. Host your parties on the upper deck aft, where the plush sofas and armchairs are positioned to provide the best views while sipping cocktails and watching the sunset. As the evening progresses, head inside to the skylounge for a cosy night and intimate conversation with guests who still have energy to burn. 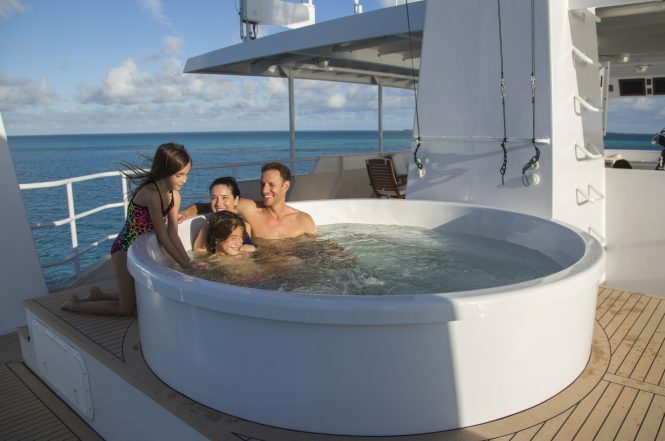 Take to the sundeck for the best views on board and for a generous Jacuzzi that can fit the whole family. Dry off while dining alfresco, or lay out on the sunpads and enjoy a nap in the warm weather. While in transit, the excellent on board gym will help guests maintain a fitness regime or tire out restless individuals before bedtime. The accommodation layout sleeps 12 guests over 5 cabins: 1 Master suite, 2 double cabins and 2 triple cabins. 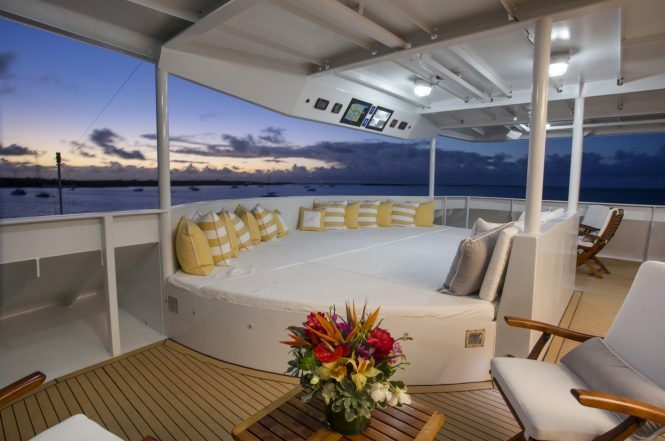 The expert crew of 7 will ensure that everyone on board has a relaxing holiday throughout the charter. 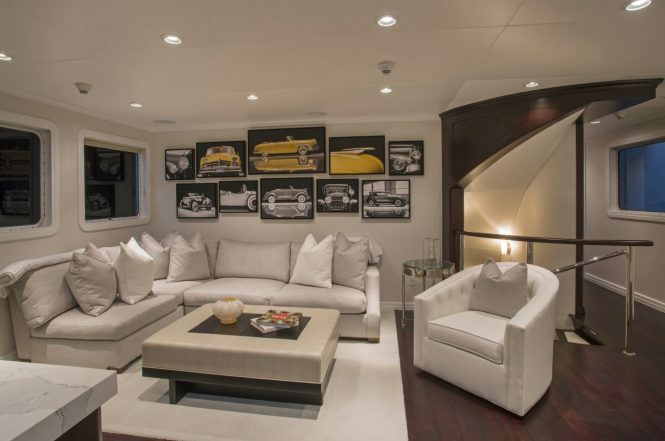 Superyacht MARCATO is ready for charter in New England from $145,000-$159,000 per week plus expenses. Contact CharterWorld for more information and to secure your preferred dates in this fantastic location. Please contact CharterWorld - the luxury yacht charter specialist - for more on superyacht news item "Charter luxury yacht Marcato in New England this autumn".